READY TO GET OFF THE HOT MESS EXPRESS? Your SEVEN DAY PARENTING EMAIL cOURSE BEGINS TODAY! THIS FREE EMAIL COURSE WILL HELP YOU TO START BECOMING THE PARENT YOU WANT TO BE BY FOCUSING ON REGULATING YOUR EMOTIONS AND USING EMPATHY. This email course is for you if you're ready to stop yelling & nagging and start connecting using tools and strategies that work! Most free e-courses for parents aren't worth your time. They're full of stuff you already know, or they're light on practical tips you can actually use. Or both. Because according to research, when children are treated respectfully and with empathy, they respond this way to others too. Isn't that what you want? And that's why you need the Keep Calm Formula. In this FREE 7-day course, you'll get a science-backed approach and skill set to handle any parenting situation with calm and ease. This is the single best tool for managing challenging emotions & behaviors and connecting with your child. Register NOW (it's free!) before the doors close. This class will only be offered FREE for a limited time. For almost 20 years, I have worked as a coach, speaker and therapist with hundreds of families, and have earned a reputation as one of the best parent coaches in my community. Not because I had some inherent gift but because I have studied all the research and science to parenting, discipline, and relationships. I specialize in working with parents of children 1-11 years old because these are the foundational years in both a child's and a parent's development! Most parents are just winging it as they go along. I help parents become more intentional about their parenting and make the process simple and easy, so that families can focus on having fun together while fostering relationships built on mutual trust and respect. I help make family life easier and happier. My programs provide new perspectives and strategies for contemporary parents that inspire independence and foster ease in modern day life with children. All because I use evidence based techniques to help parents create the relationship they want with their children. Ready to learn some of my secrets? The scientific reason why you may be flying off the handle and saying or doing things that are not in alignment with your parenting and values. The single most important thing you can say when your child has a big emotion or negative behavior that most parents miss. How to regulate your emotions so you can have access to your rational brain and be more effective in helping your child and inviting their cooperation. Because if you want to make parenting feel easier and build a relationship with your child rooted in mutual trust and respect, you won't get there by just winging it. 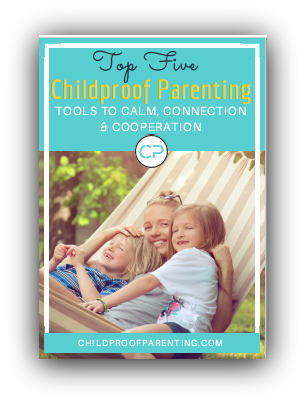 The secret to feeling confident and proud in the way you parent is by focusing on a few evidence based parenting tools that will allow you to feel calm, confident, and effective in working with your child. You'll get 7 emails over 7 days with information and practices that will require 10 minutes or less. After one week, you'll know exactly how to respond when the going gets tough or sh!t hits the proverbial fan. You in? Because the Keep Calm Course is instructor-led, space in the course is limited. Click the below & reserve your spot NOW in this free 7-day training.